Our window washing specialists use only the finest tools and equipment to best serve you and your individual needs in Winston-Salem. 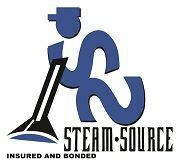 We here at Steam Source would like to offer you our professional and dependable window washing services. We are located in Winston-Salem; however, we extend our window washing services all over the state of North Carolina. With the right people employed, the proper tools and equipment, and a customer-service oriented attitude, we offer you an experience you can count on and truly wonderful window washing services you can tell your friends and family about each and every time. There are many reasons to have your windows washed. One of the most beneficial times to have this done is when selling your home. Clean windows put that finishing touch on your already-beautiful home. 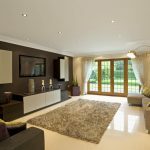 Windows on a house are the thing most people will notice subconsciously, and without realizing it, they will give the biggest first impression, either good or bad, without them even taking one step in your home. If you’ve got clean windows, you’re already one step ahead of the game in selling your home! But say you aren’t selling your home. 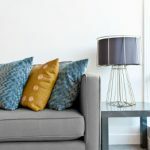 Maybe you’re doing your yearly house cleaning, preparing for a big event or just simply want a cleaner feel to your home. We can handle the job. We know how difficult and time-consuming the task at hand is. Don’t spend countless hours doing the dirty work and risk harming yourself on one of those worn-out ladders you’ve got shacked up in the storage shed or down in the garage. We know as well as you, you can’t afford to get hurt! Let us take the charge. Our window washing specialists use only the finest tools and equipment to best serve you and your individual needs. We know your home is a place of security. You feel the most comfortable in your home. You don’t want to run the risk of having an outsider come into your home and mess ANYTHING up. Here at Steam Source, we fully understand and respect that. Our specialists will not only provide the best window washing service possible, but we will also make sure to take the absolute most care while inside and around your home. We want to not only give you the best possible window washing services, but also for you to be at your most comfortable while our insured window washing specialists give your windows that remarkable shine. 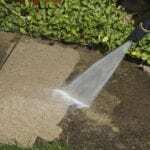 Please call us today and let us schedule you a free estimate!